and discover why Inogen offers a much higher quality than its competitors. 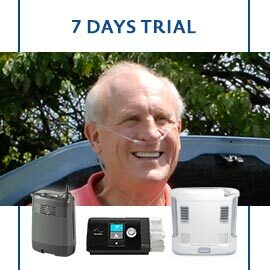 We at OxyPoint.com have decided to collect for you a few simple but useful data to help you compare the major oxygen concentrators currently on the market and help you work out what's best for you. You don't need to get lost amongst rows and rows of text which don't clarify exactly what the potential or limits of the machine you're looking at are. Thanks to the data we've collected, you can easily isolate the exact performance of any specific concentrator and compare it straight away with another one.